Hi, my name is Raederle Phoenix. Yep, that's my real name, given at birth by my parents. Raederle is pronounced "Ray-der-lee" if you're curious. I'd like to share with you part of my story – it'll take you about twenty seconds to read. Eight years ago I was overweight, depressed, chronically fatigued, sick of life, pessimistic, and friendless. I had stomach ulcers, constant headaches, daily acid reflux and constant burps that caught in my chest and sent fire through my heart and lungs. I didn't know at the time that I had ulcers. I didn't know that I had all the symptoms of irritable bowel syndrome and candida. I didn't know that my fear of social situations and sudden states of agitation were called "anxiety attacks." I felt hopeless. I had tried medications from several doctors. I felt like I was up against a wall. I was in an abusive relationship and some part of me felt I deserved the abuse. I didn't believe that I could or should get better. I didn't respect myself, I didn't love myself, and I couldn't forgive myself for being so flawed and useless. I was suicidal. After years of trial and error, lectures, books, seminars, classes, articles, potlucks, interviews, and documentaries... I've found healing and truth. I am now in a healthy marriage based on respect, compassion and mutual interests. I've found the ability to forgive myself, to love myself, to feel compassion for others and to have an optimistic outlook on life. Where I used to be fatigued, now I am vibrantly alive. Just a few years ago I could hardly walk a quarter-mile; now I can walk all day long. As a huge bonus, I lost thirty pounds. Every single aspect of my life is changed for the better, and some aspects of my life are entirely different. I've never been happier, and I no longer cling to any feeling that I deserve less. Let me share a big secret with you: You don't deserve any less. You deserve success, love, happiness and health. And here is the biggest secret of all: The road to your dreams starts with what you eat. If you're new to the concept, that may sound crazy to you, yet it's really true. You are what you eat. 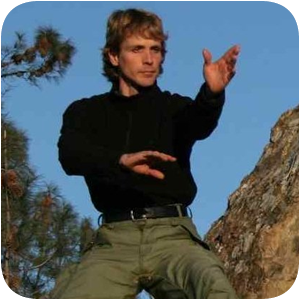 By eating foods that create hormonal balance, strength, flexibility and adaptability you become a success magnet. Simple. Is the science simple? No. However, the meal plans I want to share with you are simple, and if you follow them it will change your life. Let me share with you how to discover the new vibrant you through exciting recipes! Please? While the results of my transition have been beautiful, the transition wasn't smooth. I made a lot of mistakes along the way. Now I help others avoid those same mistakes. Many people make serious errors when they start a raw vegan diet. Everything from becoming chronically dehydrated to becoming excessively thin. That's why my meal plans not only give you recipes... The meal plans also give you the order to eat them in, how much to eat, and what combinations of food to consume. You can meet all of your nutritional needs, eat delicious food, and feel great all at once. 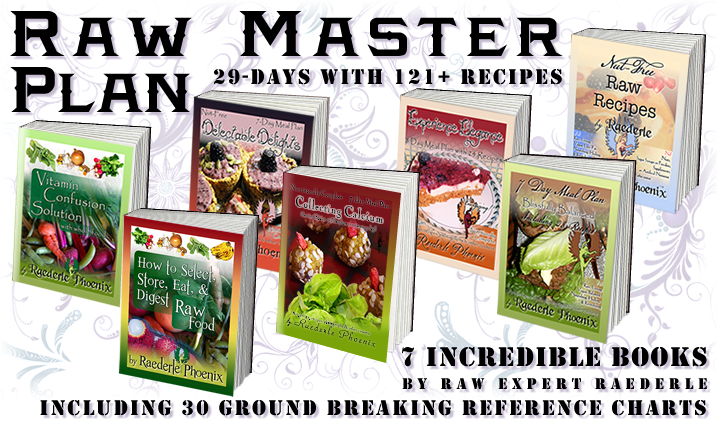 You can try the raw vegan diet without any risk of making a mistake. You can do it just by following my raw vegan meal plans. Instead of fumbling during your transition, you'll have a plan to hold your hand. Surprised at the amount of dessert? Don't be so shocked: we're talking whole, raw, nutritious ingredients. You can lose weight, have excellent energy and have your cake, too! All of my meal plans have a full nutrient analysis for each day, including: B1-B6, Vitamins A, C, E, K, calcium, copper, iron, magnesium, selenium, zinc, omega-3, omega-6, protein and more. You'll be getting more than enough each and every day! No risk of nutritional deficiencies, which are a serious pitfall that many vegans and raw vegans fall into. Save yourself time and money with a proven plan to health. 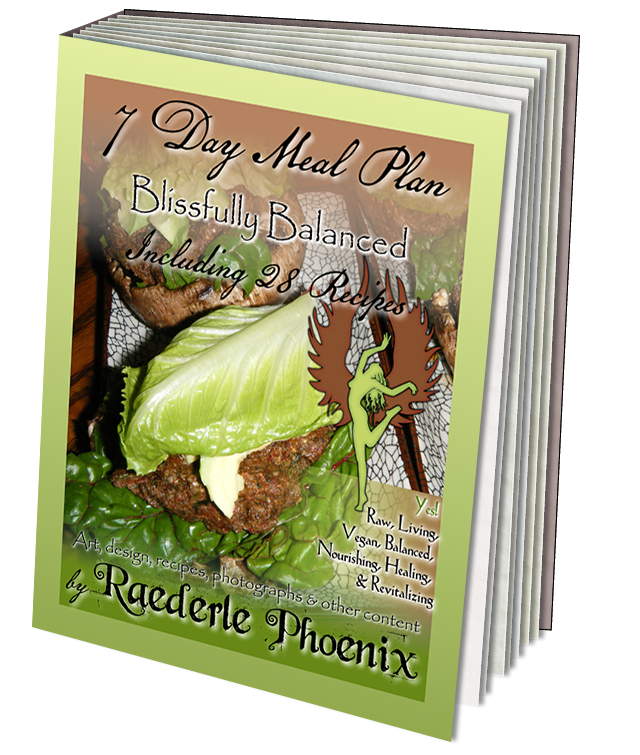 My meal plans reveal the secrets to getting reliable results on a raw diet. The secrets that I have studied eight years to find! 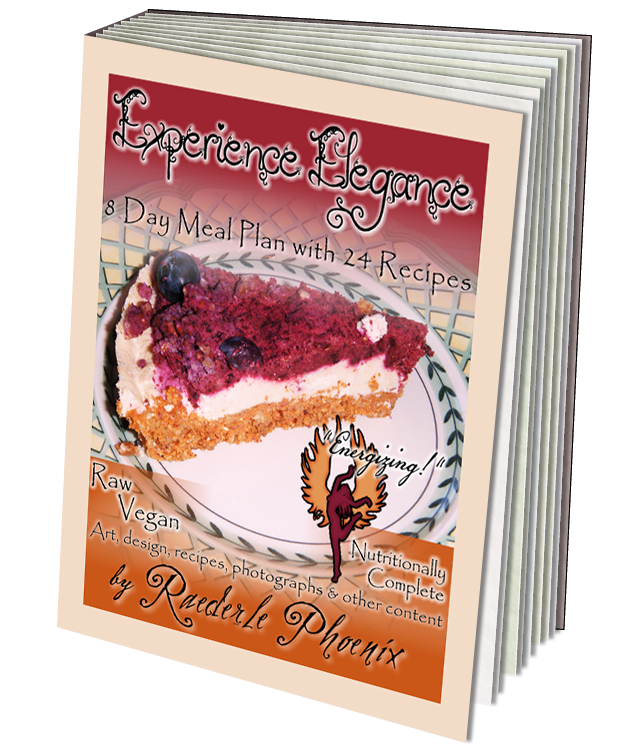 These secrets are condensed into an easy-to-follow straight-forward meal plan with a variety of exciting recipes. With all the details you need laid out before you, your transformation will be easy. 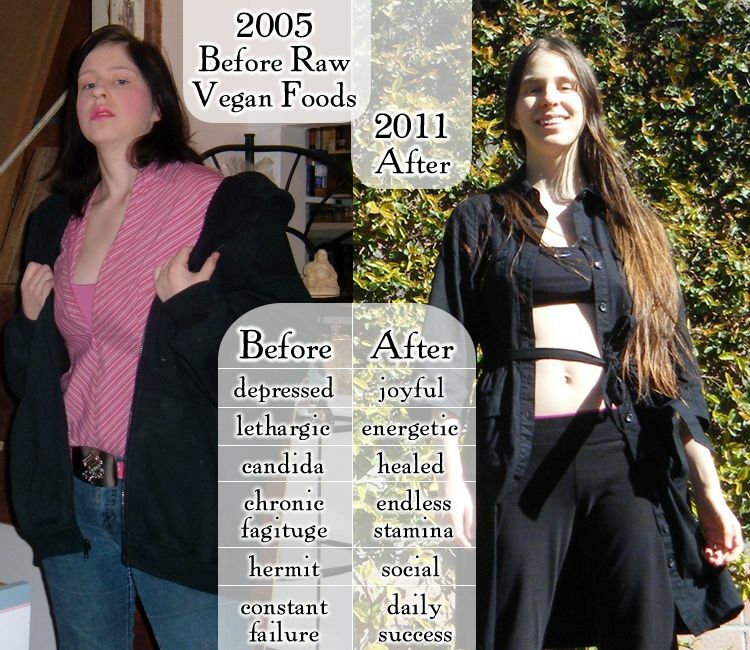 "I feel so much better eating raw. "Last night I made a nice raw hummus and John and I dipped kale romaine lettuce into it. 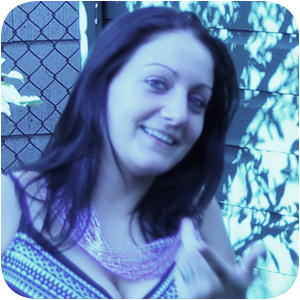 "It has been a month since I started eating all raw and I have lost eleven pounds. I am doing this because of how it makes me feel and for my long term health, so the weight loss is not my main motivation. Of course I want to lose the weight and am happy it is inching downward over time. "Thank you Raederle! For all your help and encouragement." Lisa has told me she'd be very happy to speak with anyone who wants to ask about her experience. Reveal your best self with ease! Being your best self means that you can work more efficiently and spend more time with family and friends. Your children will be delighted that you have energy to run and play with them. Your spouse will be astounded that you're more available to them than ever before. Ma'am, let me tell you, it's weird eating like this. The strangest thing is the lack of hunger as I knew it. I used to get so hungry I would pay anything for food. Now hunger is tolerable for long stretches of time. I feel like I am incredibly alert all of the time as well. The most amazing thing has been losing 6 pounds in a month with a pretty minimal amount of exercise. Countless testimonials to the raw food diet reveal that it is an effective cure for the lethargy that most people feel, as well as many other much more serious conditions. These cures, while valid and numbering in the thousands (or millions), are not recognized by the World Health Organization, or by the FDA, or by conventional medicine in America. However, it is my personal experience, and the experience of hundreds of people that I have encountered personally, that this diet works. Its only been a week after switching to only eating fresh, organic, and raw foods and I feel great. I finally found a lifestyle change that I completely love, and will be able to commit to long term. I love the foods, all the recipes are amazing. I'm sleeping better at night, and I feel better both physically and mentally. Thank you for everything, you've had such a wonderful impact on my life that I can hardly find the words to say to show you my appreciation. Thank you! "Raw vegan lunch by Chef Raederle today. Green Ginger Cookies, Raw Banana Cream Pie, and a salad with kale, spinach and romaine. BAM!! I'm in heaven! "I am so grateful for this meal today...! "The conference I attended today had nothing besides refined sugar and breads to offer... Fourteen hours spent in the car or at the conference. "So grateful for making the best choice for me today. And having such tasty alternatives to the as sugar well! 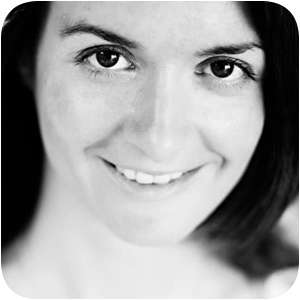 ♥ ♥ ♥"
Blissfully Balanced is very beginner friendly and contains raw comfort-food dishes. Blissfully Balanced includes exercise-timing recommendations. These timing recommendations are provided to allow you to get the most out of your activity. They're recommended at times of day when the food will be providing you with the most energy. After exercise, the key nutrients you need to replenish are in the foods indicated. Nut allergies? 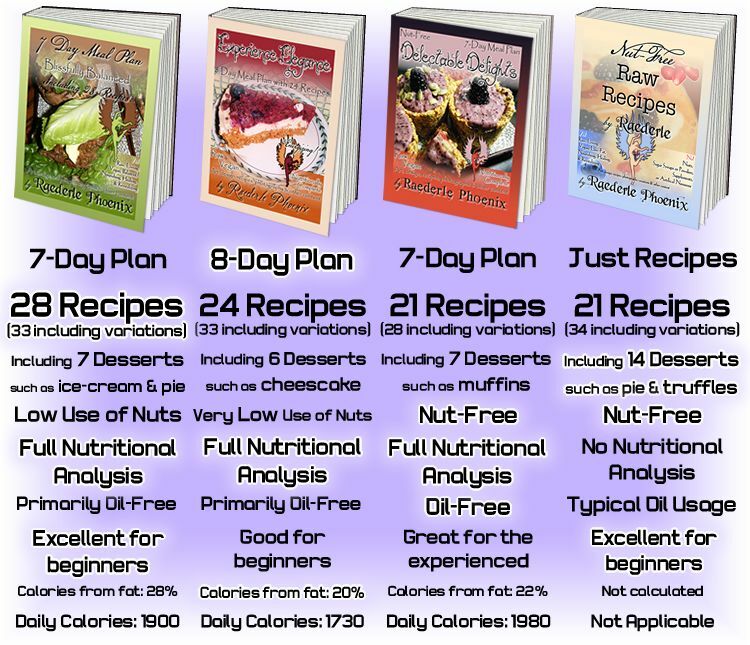 Want to enjoy gourmet raw vegan pies and treats without using two cups of nuts per recipe? This book brings together gourmet flavors, convenience and nut-free ingredients. 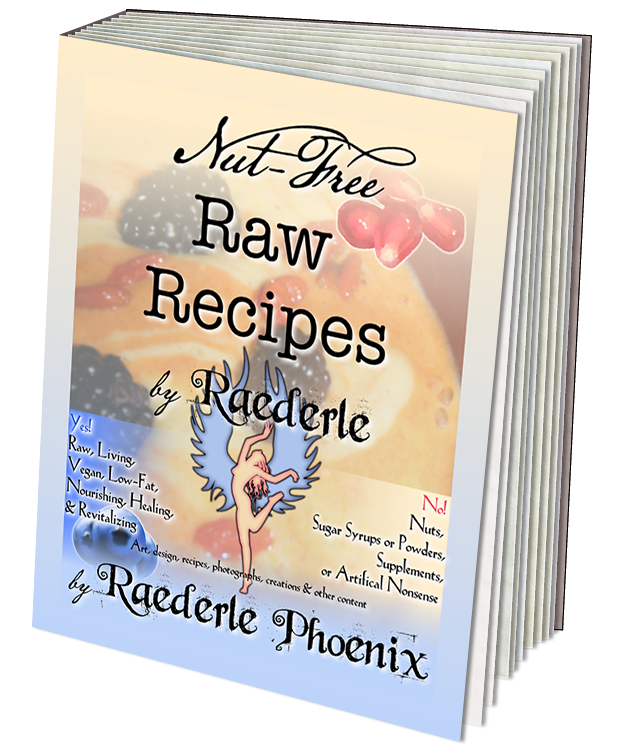 If you want additional recipes, or are seeking an array of comfort foods that don't contain nuts, then Nut-Free Raw Recipes will supplement any of my meal plans excellently. 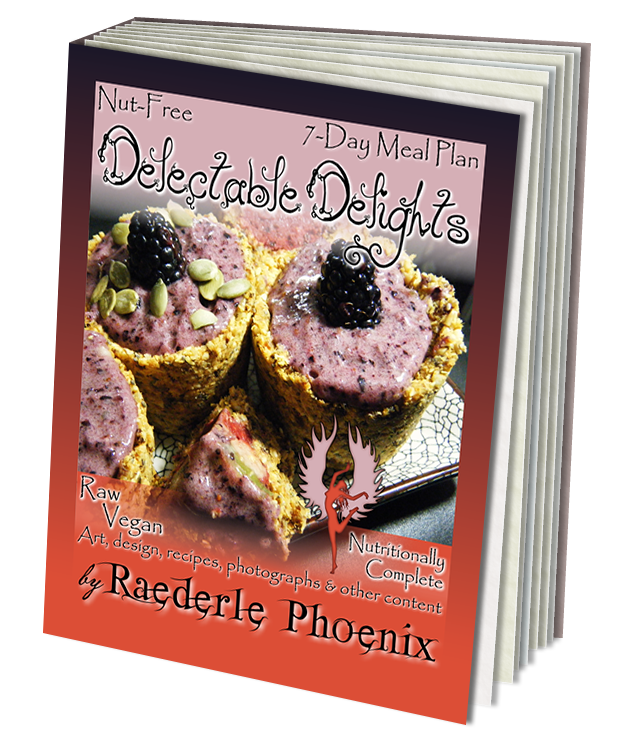 Also, Nut-Free Raw Recipes is particularly full of creative nut-free desserts for the adventurous sort. And none of them require a dehydrator! If you're thinking, "Yes! 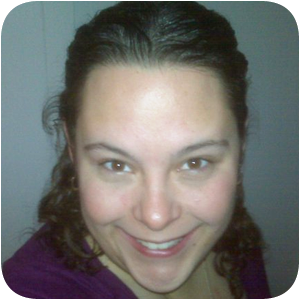 An exact step-by-step plan is just what I need to get on the right track!" then you've come to the right place. As of 2015, I'm now offering all of my books together as one package at an all-new lower price. The thing is, I made these plans to help you heal! Not to get rich. So I want as many people as possible to benefit from what I've learned about food and nutrition. Don't miss this opportunity to get seven amazing books! That is a $137 savings! So what are you waiting for? What's more important than being healthy enough to do the things you love?! PS: As an added bonus, I am always available to answer my customer's questions! Do you need a recipe modified to fit your specific needs? Do you have a story or experience to share with me? Just write me an e-mail.